Die-cast collecting is a second hobby of mine and I've got a pretty extensive collection. I thought I'd show my Boxsters. Most are 986s, but a few 987s snuck in there as well. Anyone else collect these things? eBay is your best bet. 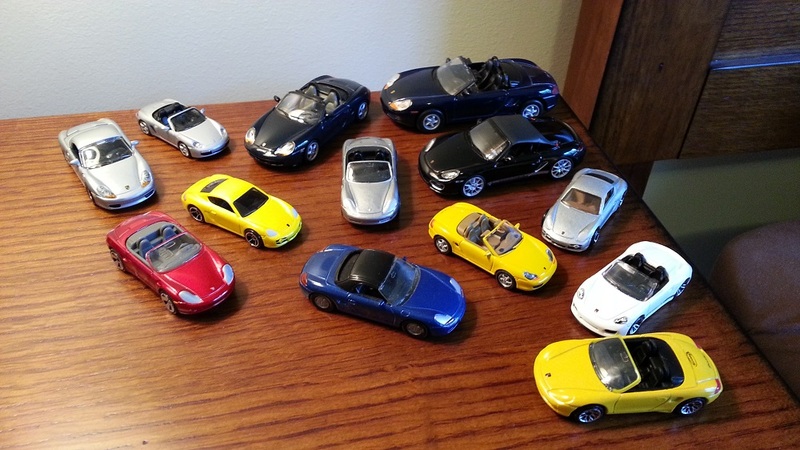 Just go to the die-cast subsection of toys and hobbies and search for Boxsters. Some of them can be quite expensive- two of the larger ones in this picture could get ~$40 each, and for good reason- so be ready for some sticker shock. Some of the others are not nearly as bad though.